(VOVWORLD) - The Marble Mountains are a popular destination near Danang city in central Vietnam, famous for temples, pagodas, caves, and magnificent views of fields and ocean. 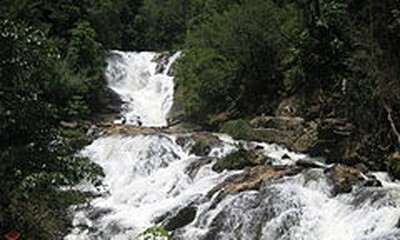 The Marble Mountains are located at the Non Nuoc stone carving village. 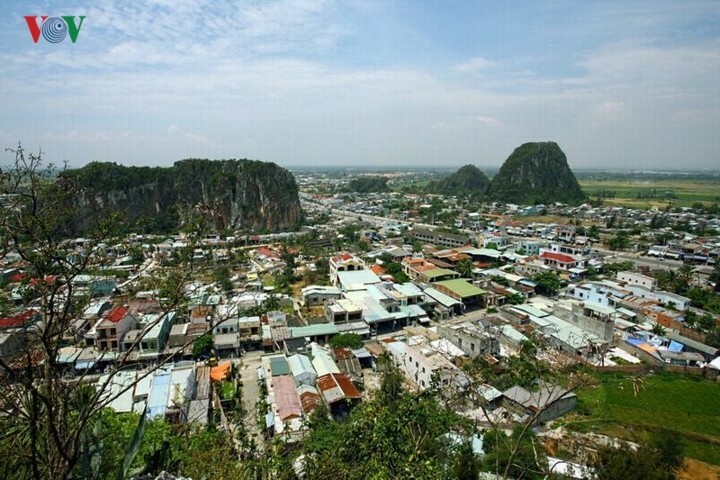 The Marble Mountains, eight kilometers southeast of downtown Danang, rise above the sandy beach of Hoa Khue village. There are five peaks named after the five basic elements in Eastern philosophy – metal, wood, water, fire, and earth. They look like a god’s hand when seen from above, suggesting that this is a holy land. Legend says that an old fisherman, who lived on the Danang coast, suddenly saw a dragon emerging from the water to lay an egg. After the dragon had disappeared back into the water, a golden turtle, who claimed to be a god named Kim Quy, came and dug a hole in which to bury the egg. The turtle gave the fisherman one toenail and instructed him to protect the dragon egg from hawks and other predators. The dragon egg hatched a beautiful girl and the eggshell broke into five pieces, which turned into the five Marble Mountains. 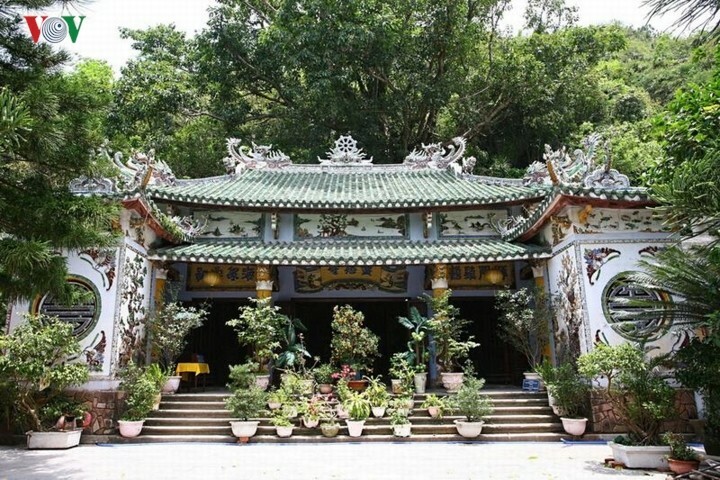 Linh Ung pagoda of the Mable Mountains are 200 years old. British visitor Ali Collier said: "The caves at the Marble Mountains are really stunning and special. I love this place and I want to know more about its. history and culture. I will definitely come back." 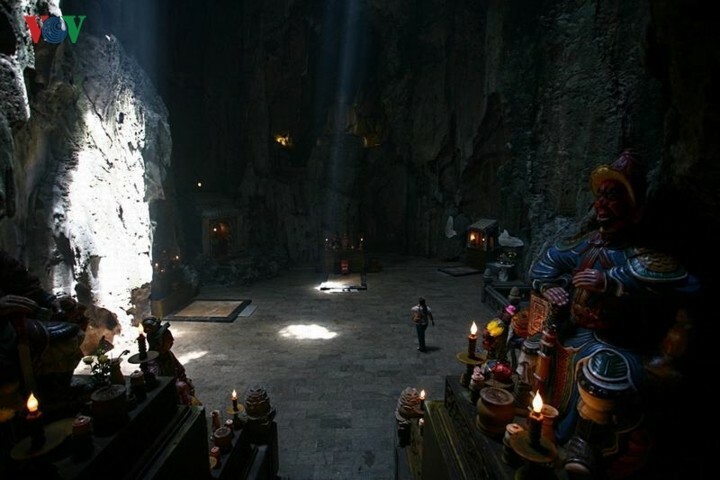 Inside the Mable Mountain, there are several caves for spiritual practices.